I got a few texts from friends who had seen my quilt, Sputnik Stars, in advertisements for the American Quilters Society Grand Rapids quilt show. 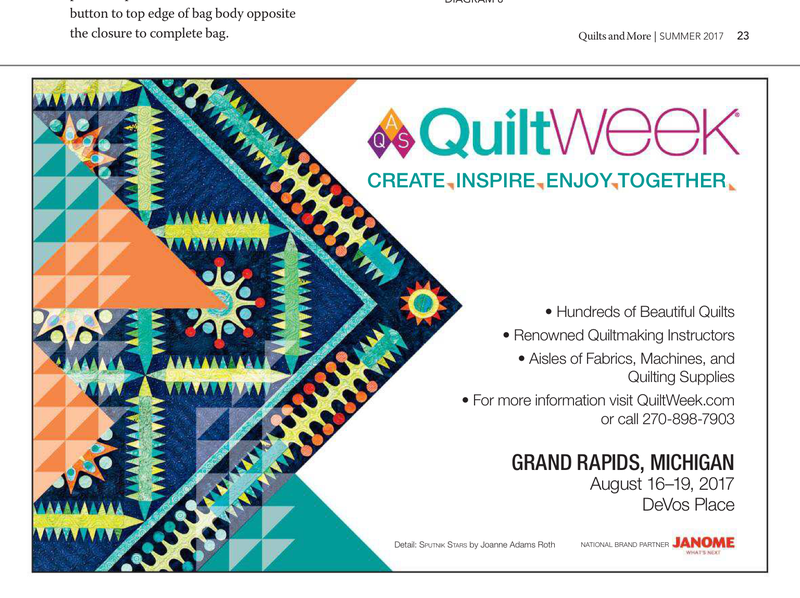 I had no idea they were using my quilts in their ads, and it's perfectly legal for them to do so, since you sign a form giving them permission when you enter a quilt into their shows. Sputnik Stars was in the 2015 show and didn't win an award. So it was quite a surprise that they liked the colors enough to use it so many years later. Here is one of the ads. I hope you get a nice surprise once in a while too. That is a nice surprise and you are credited with making the quilt too!